The property features a larger style welcoming reception hallway offering three storage cupboards as well as access to all rooms. 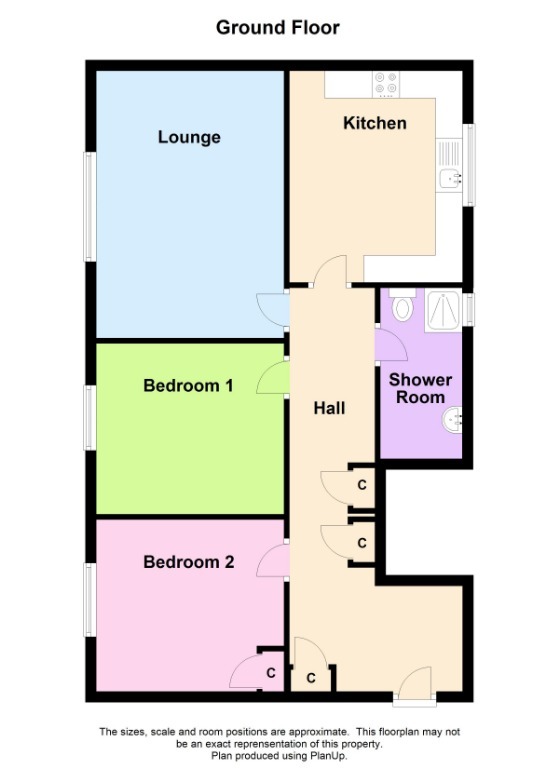 There are two generous sized double bedrooms, bedroom 2 having a built in cupboard, a modern upgraded shower room, as well as a spacious open plan lounge with space for dining table and chairs. There is a spacious modern fitted kitchen with a good range of floor mounted units, integrated oven, electric hob, washing machine and fridge freezer. It has been finished with neutral decor and flooring throughout and offers electric heating with modern radiator and double glazing. The property benefits from being externally refurbished and ample parking.